The winning tradition of the men's basketball program at the University of North Carolina at Chapel Hill is proudly displayed in the Dean E. Smith Center in Chapel Hill, NC. 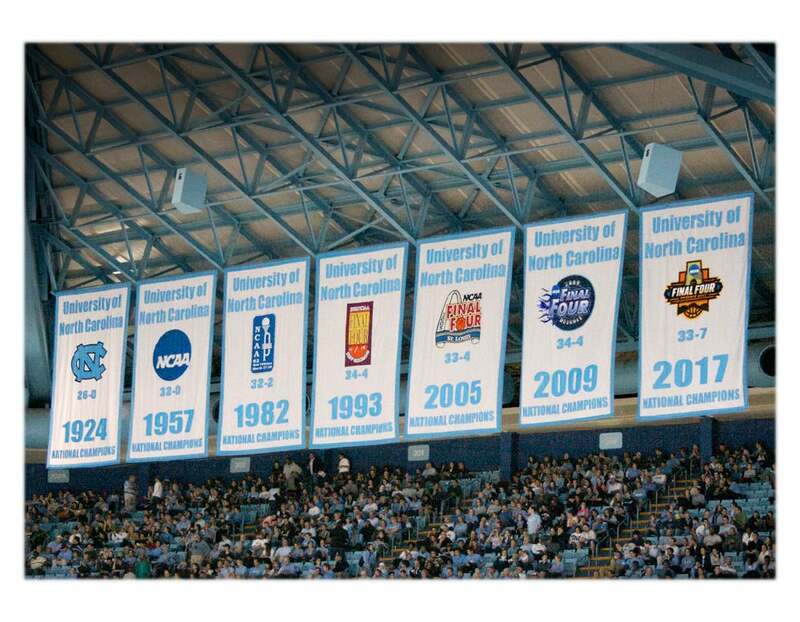 This photograph of the Tar Heels' seven National Championship banners would be a great addition to the home, office, sports den, or man cave of the UNC hoops fan in your life. This photograph is an Officially Licensed Collegiate Product, offered with the approval of the University of North Carolina at Chapel Hill, and a percentage of each sale goes to the school.